Want to be part of ministering to millions in Asia? Through the myGFA fundraising tool, you can answer Jesus' call to share His love while inspiring the same desire in the hearts of others around you. You'll help the poor and equip missionaries in the most difficult areas of Asia—where millions have yet to experience His love. faith and went skydiving to raise $12,160 for bicycles for missionaries. Together, the community ran a 5K to raise $38,724 for unsponsored Bridge of Hope children. Selling cupcakes coupled with lots of prayer, this little girl raised $11,635 to build a church building in Asia. You can start a campaign for more than 30 projects in Asia. Each one is proven to make a significant impact at a low cost. 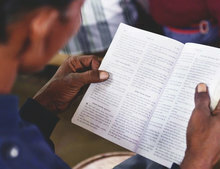 Tools like Bibles, bicycles and church buildings expand the ministry of on-the-field missionaries. 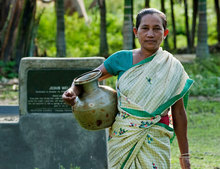 Items like Jesus Wells, water filters and chickens help those in poverty and show them the love God has for them. Projects range from small to large, so you can find one that suits your own goal. You can also raise any amount for any project—it all goes to the field. Many people have no access to a Bible of their own. Give the gift of God's word to believers in Asia. 35 Bibles can be provided for $175. Whether it's rugged terrain or rocky roads, there's nowhere in Asia our missionaries aren't willing to go. A bicycle eases the travel of our missionaries and often puts five times as many villages within their reach. A single bicycle can be provided for $110. Many congregations in Asia meet outside in the rain or heat, or in cramped houses where few can fit. A church building provides a place of worship and fellowship. A building is a symbol of security and permanence in Asia, which leads to a greater acceptance in the community and reduces persecution that believers face. 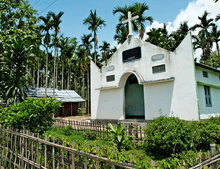 The average cost to build a church in South Asia is $10,000 - $40,000 depending on the capacity and the location.